Klip Gallery: Glassdoor – How can we help you today? Monitor your key mobile app metrics with a selection of Glassdoor Klips on your dashboard. 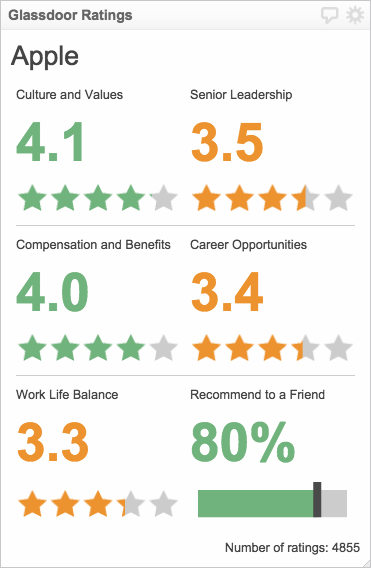 Explore a company's ratings in various categories, from work life balance to senior leadership. In order to associate your data with the Klip you add to your dashboard from the Gallery, you will need your Glassdoor Partner ID and Partner Token. Select a Glassdoor Klip from the Gallery. Navigate to the Glassdoor API Access registration page. If prompted, log in to your Glassdoor account or create a new account. 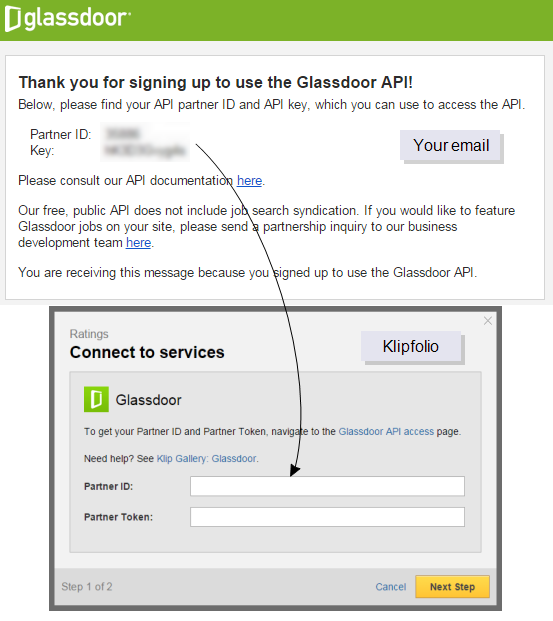 Copy the Partner ID and Partner Token from your email into Klipfolio. On the Data source settings popup, enter the Company Name, for example Apple.